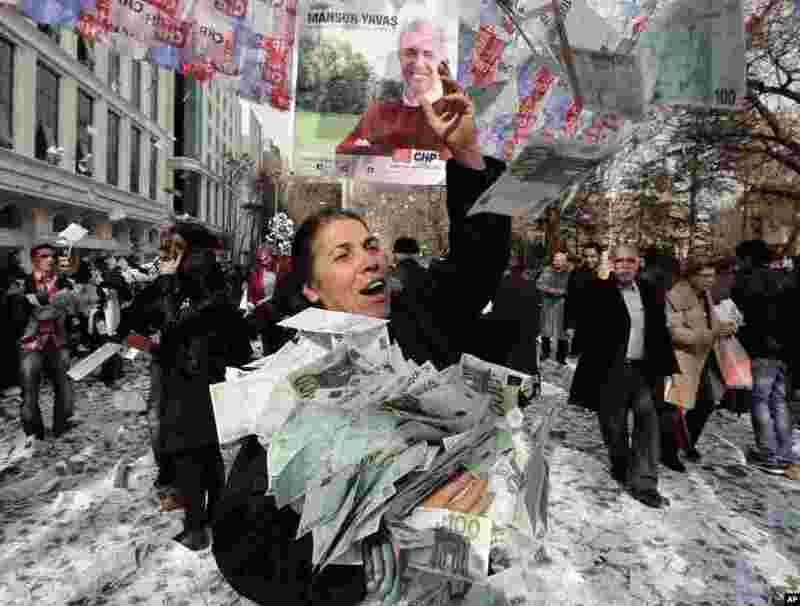 ۱ Members of the main opposition Republican People's Party throw fake Euro bills into the air during an anti-government protest denouncing a corruption scandal that has shaken Prime Minister Recep Tayyip Erdogan’s government, in Ankara, Turkey. 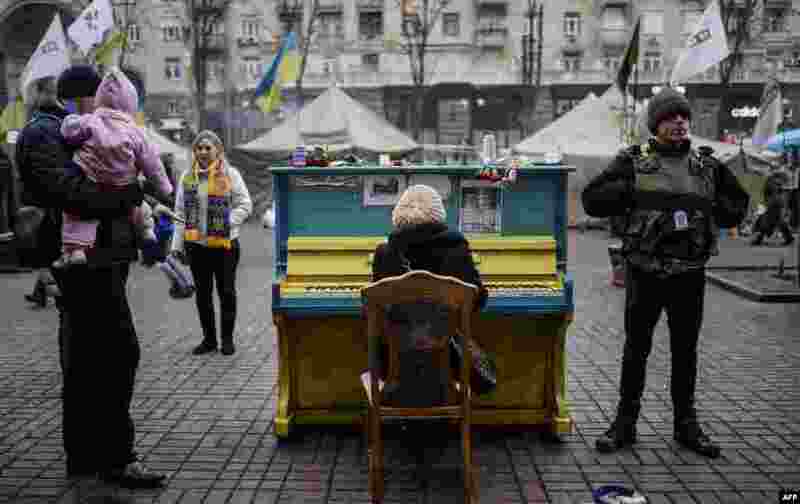 ۲ A woman plays a piano in a street near Kyiv's Independence square, Ukraine. Pro-Russian forces tightened their grip on Crimea as the Kremlin vowed to help restore calm on the restive Ukrainian peninsula and Washington warned of "costs" to Moscow should it order in troops. 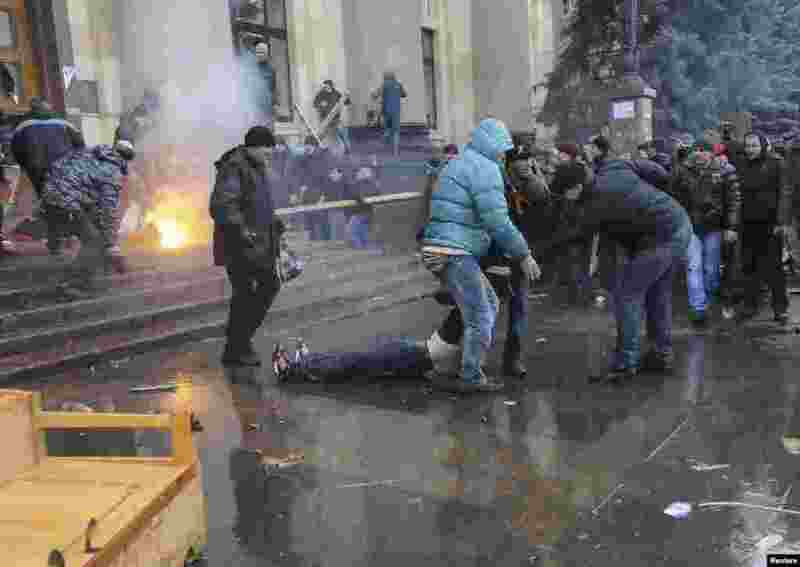 ۳ In central Kharkiv, pro-Russian protesters drag a wounded man during clashes with supporters of Ukraine's new government as pro-Russia activists tried to seize the regional governor's headquarters, Interfax news agency said. 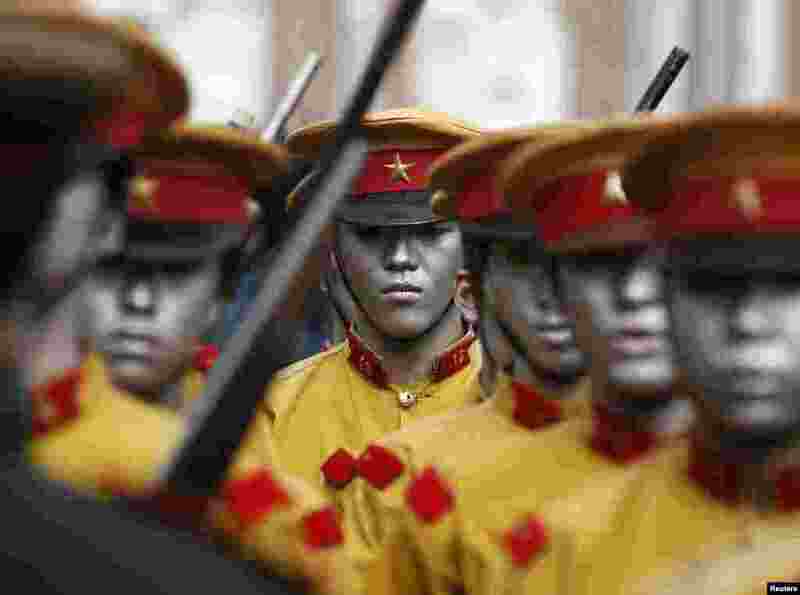 ۴ Performers acting as Japanese soldiers take part in a re-enactment of the historic Independence Movement in Seoul, South Korea, to commemorate the 95th anniversary of the declaration of the nation's independence from Japanese colonization on March 1, 1919. 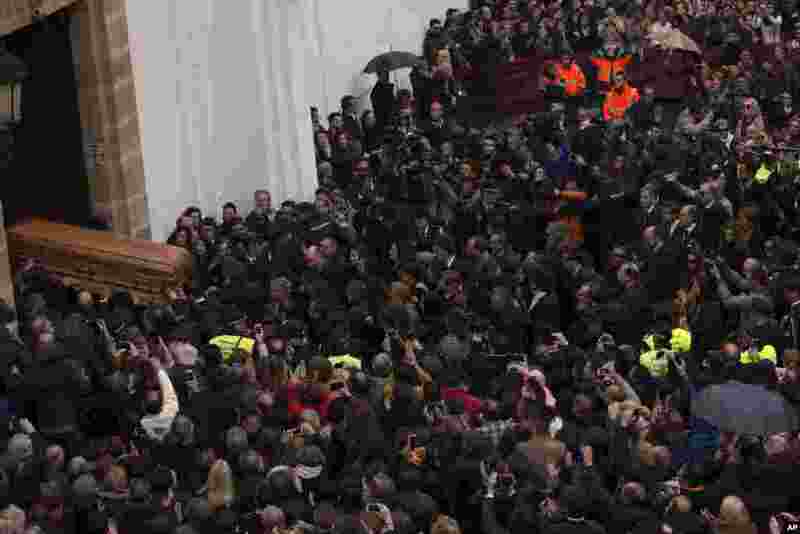 ۵ People carry the coffin of Spanish flamenco guitarist Paco de Lucia to the Nuestra Señora de la Palma Church in Algeciras, southern Spain. Paco de Lucia, 66, one of the world's greatest guitarists, who dazzled audiences with his lightning-speed flamenco rhythms and finger work, died in Mexico Feb. 26, 2014. 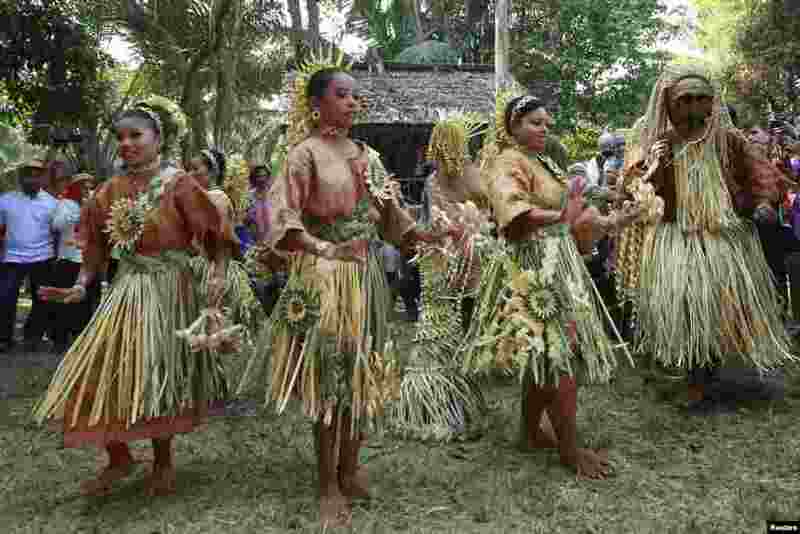 ۶ Mah Meri women wearing their traditional dresses perform the "Main Jo-oh" dance during the Ari Muyang festival in the village of Sungai Bumbun on Pulau Carey, some 140 km (87 miles) southwest of Kuala Lumpur, Malaysia. 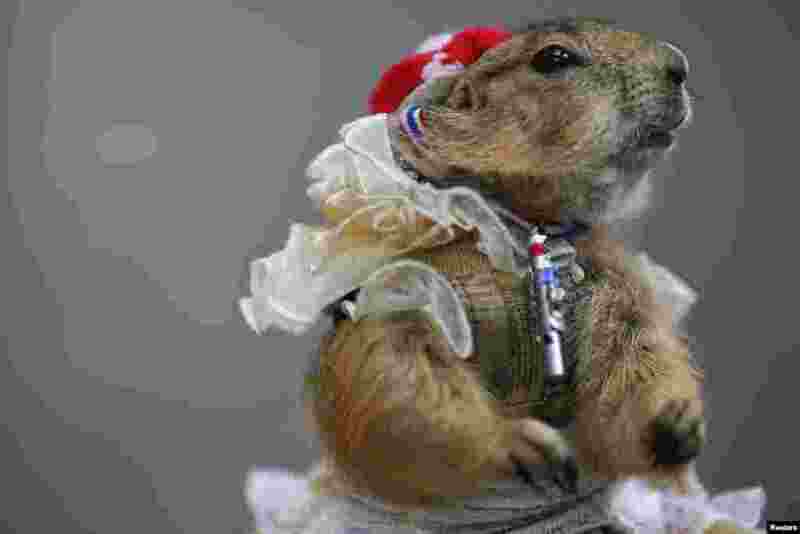 ۷ A hamster wears a whistle and a ribbon in Thailand's national colors as he is placed by his owner at one of the protesters' encampment in Bangkok's shopping district. 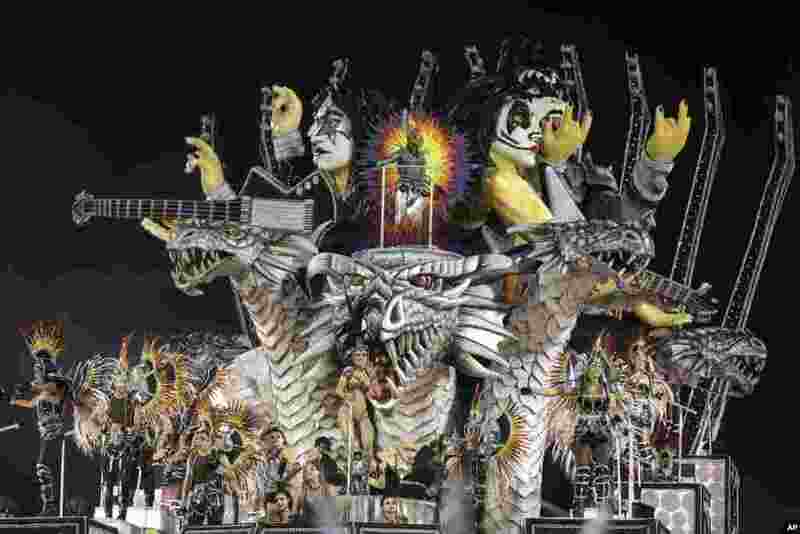 ۸ Dancers from the Dragoes da Real samba school perform on a float during a carnival parade in Sao Paulo, Brazil.